Welcome Home to Chabad Family Shul! The Lionel and Margot Schneider Family Shul is the first Synagogue to be built on Vancouver Island in over 150 years. 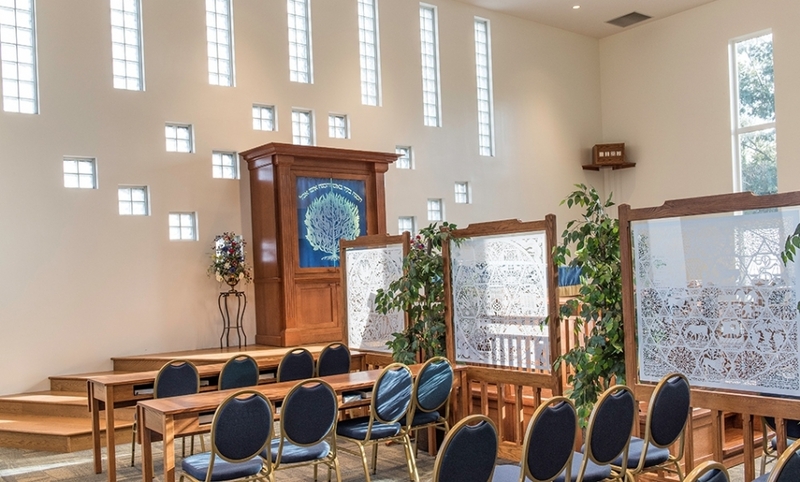 The Shul is renowned for its welcoming, warm and uplifting atmosphere. Services are traditional, but cater to any level of knowledge and observance. Kabbalat Shabbat Services take place on Friday evenings at 5:30 in winter, and 7:30 in summer. Shabbat morning Services begin at 9:30, followed by Torah Reading at 10:30. The Rabbi’s sermons right after are the favourite part for many, delivered in a meaningful and inspiring way and covering current and relevant topics. During Services, a special children’s program takes place in the library. Children get to play together, sing, have a snack, and of course, kiss the Torah. Every Shabbat, Following services, a delicious Kiddush lunch sponsored by members of the community is served at the norman s. kessner community hall. This weekly gathering provides an opportunity to socialize with friends, newcomers and guests, and to celebrate with a warm and loving community. Sunday morning services take place at 9:00 and are followed by coffee and refreshments. Attendees enjoy a weekly inspiring video presentation that provides a meaningful way to start the week.